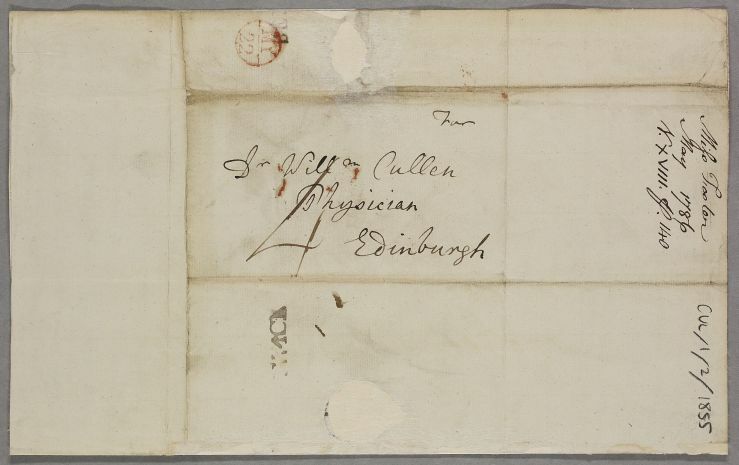 Letter from Ralph Patterson concerning the case of Miss Forster. 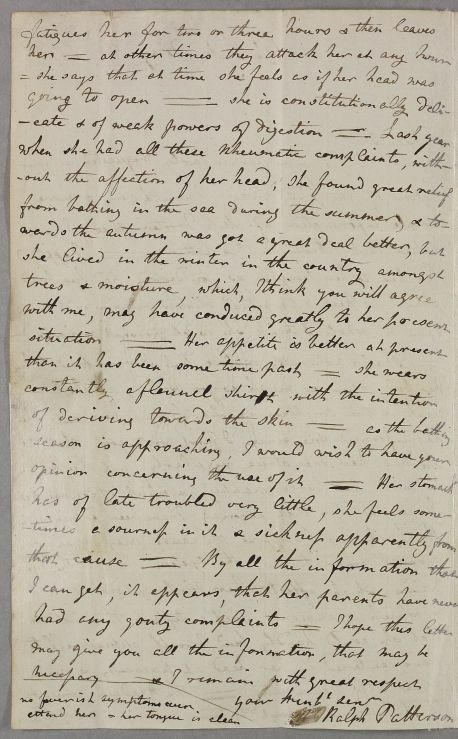 Summary Letter from Ralph Patterson concerning the case of Miss Forster. 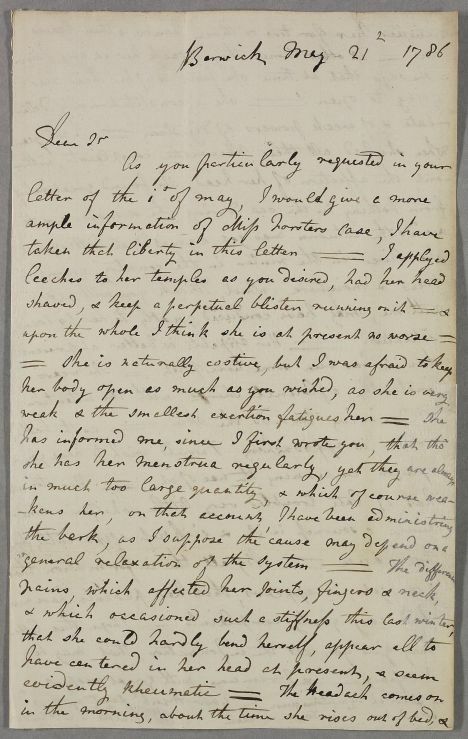 Case of Miss Forster whose violent 'rheumatic' pains are now concentrated in her head.